These shops provide coin collectors the opportunity to actually examine or scrutinize the coins that interest you. Fortunately, these coin shops are also replete with experts and coin lovers who share your passion and can offer their valid judgment on a particular coin’s grade or value. They can also offer helpful tips as well as advice. Local coin shops may sometimes have a limited stock or collection of coins and the price they offer them for may be a little bit higher than usual. This scenario usually applies to collectors. There are also auctions specifically for coins. This method is a very effective – if not excellent – way to purchase coins. It is extremely important that prior to attending an auction you know the procedures and rules that apply. There are various types of auctions; bidding auctions via mail, internet, as well as auctions conducted by phone. Always be aware and wary! 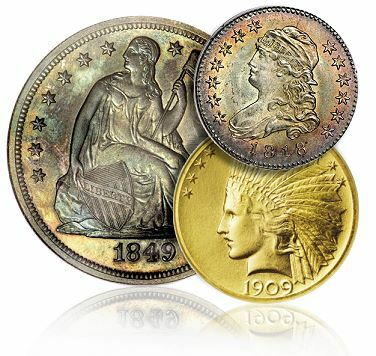 It is important to make sure that you set a fixed price on the coin you are about to bid on. Auctions can turn very emotional and aggressive. Practice discipline and try not to bid more than the ceiling price you have set for yourself. This method is a very convenient and inexpensive way to purchase coins. Most dealers that transact via mail usually have overhead costs that are low so they are able to offer similarly low prices on coins they sell. Do not forget to thoroughly inspect a particular dealer’s policies before returning an item. Make sure that once you receive your coin, immediately inspect it for authenticity or damage. The coin you must have must be just as you ordered and what you expected.